Two Students from Bangalore come up with a solution to save the Bengaluru lakes. The Amateur Scientist 2017 contest Winner in the science projects category. Much talked about IoT (Internet of Things) and Real Time monitoring terms are pretty confusing and seem like the next-gen technologies. 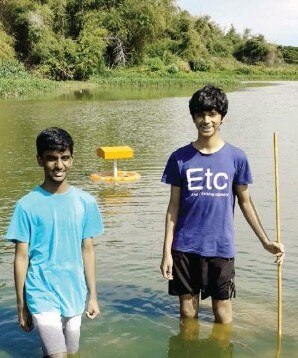 Siddharth Vishwanath and Pranav Shikarpur have actually got their act together and have innovated a device to check the purity of water bodies. The polluted water in the lakes of Bengalure has without a doubt is affecting the citizens. These two 16-year-olds from Bangalore International School took it upon themselves to try and find a solution. It's great to know that youngsters have begun to play a role in environmental issues instead of waiting for the authorities. 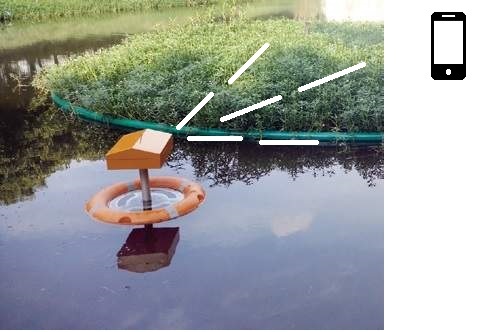 Know more about the Device and the solution for the polluted lakes. The two not only wanted to design a solution but wanted it to be cost-effective as well. Moreover, they felt anyone should be able to use and understand if the water is clean or not. They bought the sensors, designed the PCB etc., but found it a bit too heavy. Nevertheless, this device floats on water using laws of buoyancy while the sensors are inside the water. The data is collected and transmitted via the GSM to a mobile phone and then on to IoT at regular intervals where it can be viewed in real time through Wi-Fi. Whenever they have collected the data and tested in the water lab, the reports have been accurate, thus proving that their solution probably can be used. They have done repeated tests on more than 5 lakes and have got satisfactory results. What can you get from the device? The basic parameters like Electrical conductivity, Acidity/ Basicity, and Oxygen content. At Jakkur Lake they got a reading in the range of 2.35mg/L to 4.35mg/L and so on. If the water body is polluted, a very low value of Dissolved Oxygen would be registered (typically less than 1.0 mg/L) with a relatively high electrical conductivity. How does it help the citizens? These bright kids have just begun their task. When the citizens get information in real time on the pollution level, they are able to take necessary preventive measures on saving the lakes. Any Civic Authorities taking notice? The concerned authorities we hope will take notice, help these kids to make it a workable solution. Bookofachievers.com congratulates these young teens.